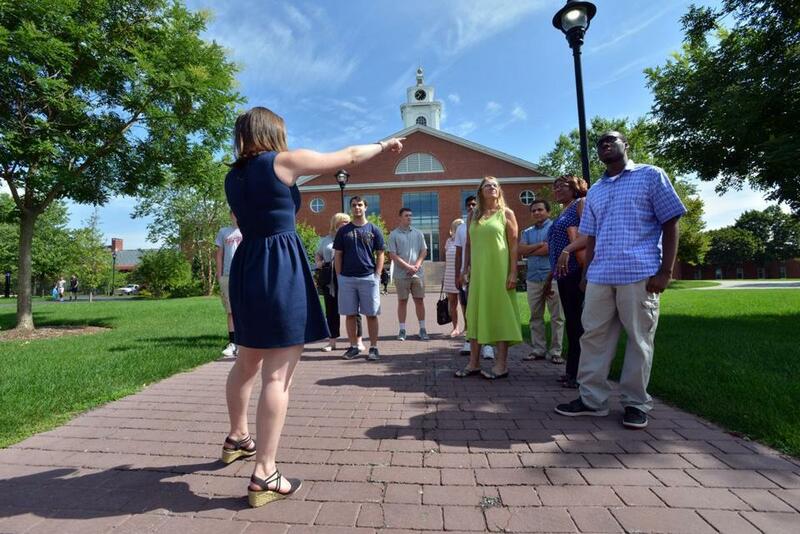 Junior Jackie Emmons of Boxford (left) led prospective students, including Cedane Richards of Hartford (right), on a tour at Bentley University. 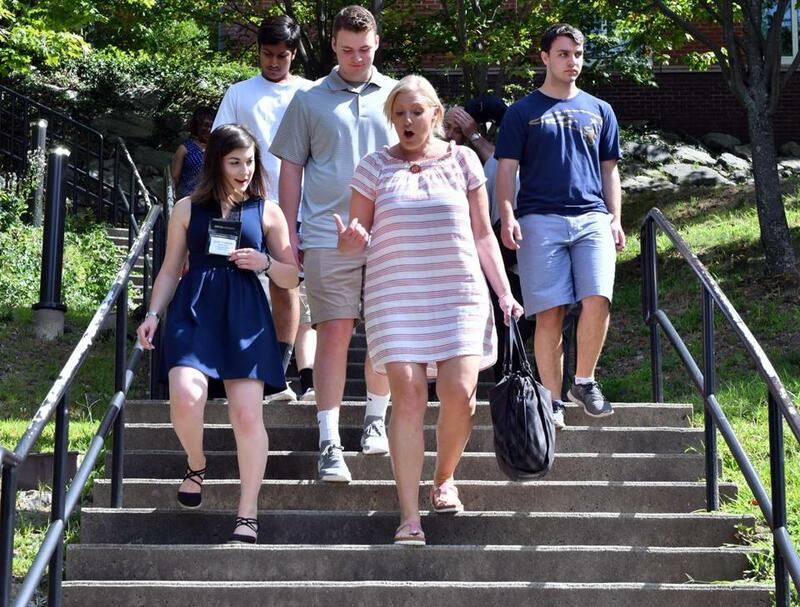 On university campuses, a summer tradition has unfolded: High school juniors and their parents are inspecting dormitories, checking out libraries, and visiting classrooms as part of the college tour. Such visits have become increasingly mandatory for students looking for an edge in the highly competitive admissions process. As colleges try to winnow large application pools, many use a student’s interest in the school as an important factor in admissions. But the practice has some counselors and researchers worried that low-income students who can’t afford to travel or those who aren’t savvy about the importance of the college tour may lose out. Many colleges now rank a student’s demonstrated interest — through campus visits, e-mails, and outreach to admissions officials and professors — as a crucial factor in deciding whether a student receives an acceptance letter. In some cases, it is as important as the application essay, having a parent who attended the college, or being the first in a family to go to college. Colleges say that technology enables students to send a standardized application to multiple institutions, making it difficult for admissions officers to discern whether the high school senior really wants to go there or if the school is a back-up. Colleges are also ranked in publications by the number of applicants who are accepted and then enroll. Therefore, many want to make sure that the applicants who get acceptance letters have a high probability of enrolling. As a result, many universities track who visits, who calls, and who returns e-mail inquiries in an effort to ensure that students who apply really want to attend and will show up on the first day of classes. Recent research by economists at Lehigh University and Mathematica Policy Research suggests that the more money students spend on showing their interest, the more likely they are to be admitted into the school, especially if they have good SAT scores and are applying to a competitive university. Talking to admissions officers at a college fair or when they visit a high school is fairly basic. But students who scored among the top quarter on SATs increased their chances of getting admitted into a college by 40 percentage points if they not only made contact off-site but also visited the campus, according to the researchers, who examined admissions data at one unnamed college. Students in the second-highest quartile of SAT test-takers improved their chances by about 20 percentage points in the same situation. Emmons (left) spoke with the mother of a prospective Bentley University student during a campus tour. To offset the disadvantages of students who can’t afford a trip, some universities are trying to reach out to more remote communities so they offer students a chance to meet admissions officers and ask questions if they can’t visit campus. Some universities pay for groups of students to visit, while others encourage Skype interviews. On a recent morning, high school students from Massachusetts and across the country toured Bentley University in Waltham. They looked in on its mock stock exchange trading floor, listened to a guide describe club sports and social options, and squeezed into dorm rooms. Norma Richards, of Hartford, has been on about a half-dozen tours with her 17-year-old son, Cedane Richards, mostly of New England colleges. The visits have been important to get a feel for the size of the campus and the programs, Cedane said. And since Cedane will be the first in his family to go to college, the tours have given his mother some assurance about where he may feel most comfortable. But Norma Richards said she didn’t realize colleges were also evaluating their family’s interest in the college. “I didn’t know how important it was,” she said. Some colleges tell students on their websites that college visits are highly recommended. Others are less forthcoming, college counselors said. According to a 2014 survey by the National Association for College Admission Counseling, about half of the colleges ranked demonstrating an interest as considerably or moderately important. Fewer than a quarter of schools didn’t take interest levels into consideration in admissions, according to the survey. Students are highly encouraged to visit Bentley, said Mario Silva-Rosa, director of undergraduate admission. But the visits give prospective students an opportunity to see what the college has to offer and if it’s a good match, he said. Bentley, however, doesn’t score a student’s level of interest in its admissions evaluation, and it offers students other ways to show they want to enroll in the college, Silva-Rosa said. Prospective Bentley students can do Skype interviews, e-mail questions to admissions counselors, or meet with nearby alumni. 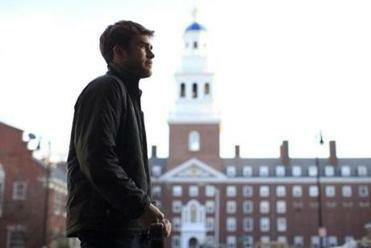 The college also pays for some students to visit campus if they can’t afford it, he said. For some schools, including Bowdoin College, demonstrating interest isn’t part of the admissions evaluation. Students may discover the small, private school in Maine late in the application process, when they don’t have time to visit, or it may be too remote for others to make the trip, said Claudia Marroquin, director of admissions. Bowdoin spends several hundred thousand dollars every year flying or busing about 140 prospective students to the campus for a visit in the fall, she said. About one in three applicants have had no contact with the school before their application, although Marroquin could not say how many such applicants were admitted. Ellin Richardson, a college counselor with Campus Bound, a Hingham firm that helps clients through the application process, warns families that if they can visit, they should. Recently, a student who was too busy to visit colleges was rejected and wait-listed at many institutions that should have sent her acceptance letters.